Acer campestre / Field Maple growing wild in the UK. Acer campestre is the only truly native maple in Europe and is often found growing in broad-leaved woods on lowlands and hills. 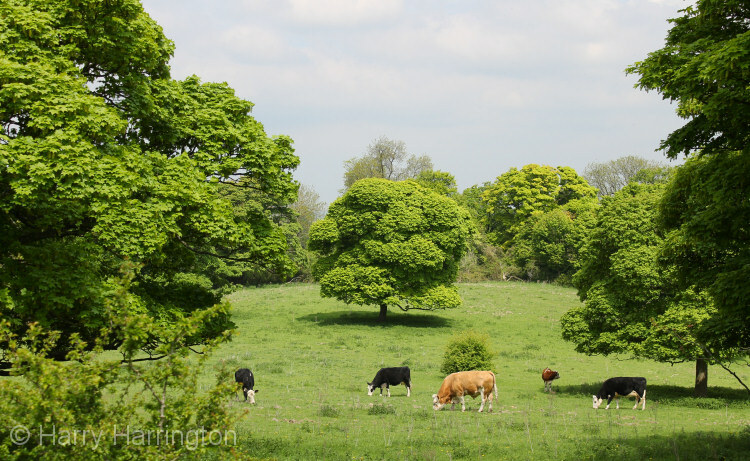 Field maples are very vigorous growers up to around 8metres in height and can quickly form stout trunks with heavily patterned, rough bark. Leaves are 3-lobed, dark-green above and blue-green underneath and grow to around 9cm in length on specimens grown in the ground. However with bonsai cultivation, leaves can be dramatically reduced to a 1/3 of this size. Acer campestre develop impressive autumn colouring (as with most other Acer species) as leaves turn bright yellow and orange. New leaves in Spring and (to a lesser extent) through the year have a red hue to them. Flowers appear in May but are insignificant and are followed by small red fruit. Bark is a buff brown/grey and is smooth when young but develops light coloured fissues with age. Field Maples are very long-lived trees, reaching ages of 400 years or more. 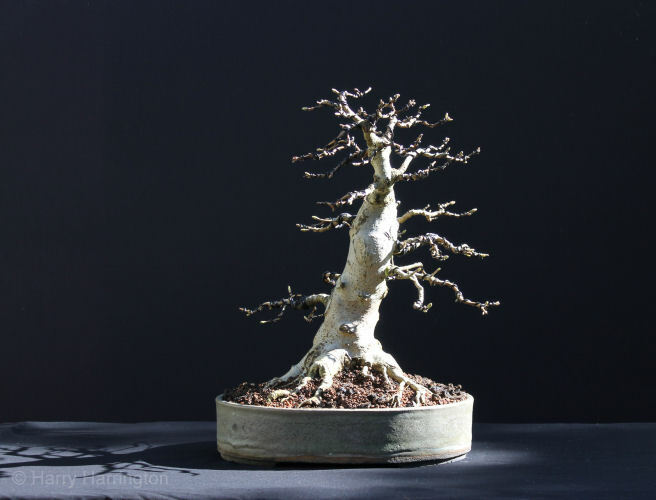 New growth sometimes develops narrow ridges or cork 'wings' running the length of the trunk (very similar to some Ulmus and Euonymous species). Growth is coarser than Acer palmatum or A. buergerianum. 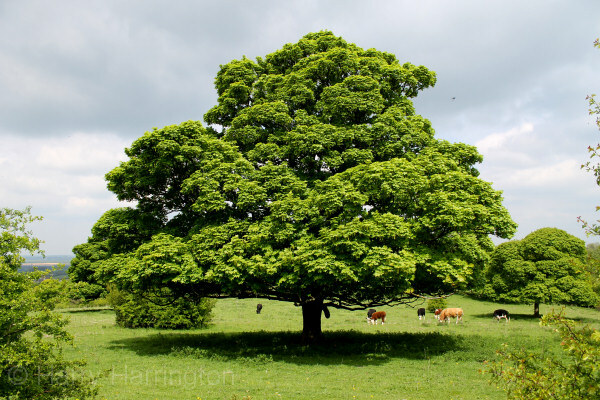 However in the UK, the Field Maple is the strongest and most vigorous of the three species. Thick trunks can be developed very quickly in the ground; it is not unusual to see an increase in trunk girth of over 1" a year in field grown material, with new shoots reaching over 6-7ft within the space of a growing season. As with A. palmatum and A. buergerianum, wounds heal over very quickly, particularly on field growing trees. Acer campestre can be difficult to locate in UK garden centres but are very often found at hedging nurseries as well as from the wild. 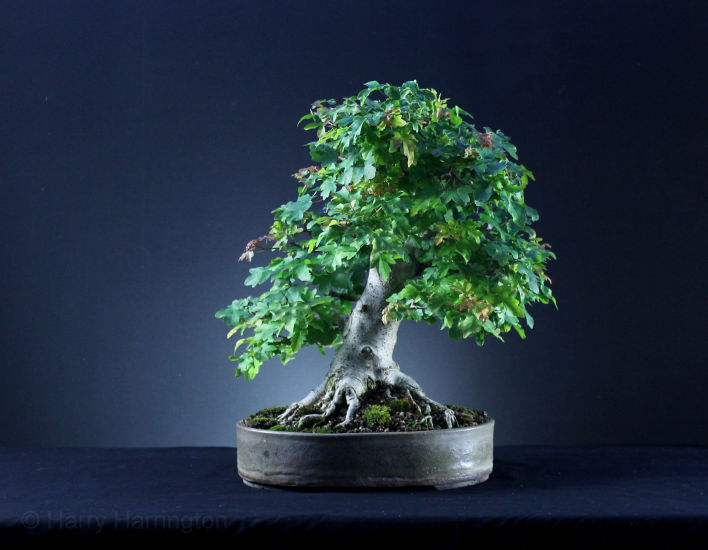 The same Acer campestre/Field Maple bonsai by Harry Harrington in Winter.